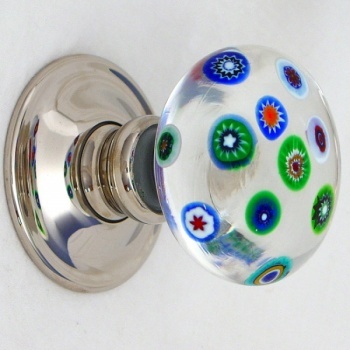 Classical Decorative glass door knobs. 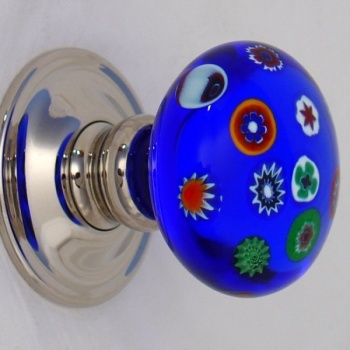 Our beautiful Millefiori solid glass door knobs make a real statement. 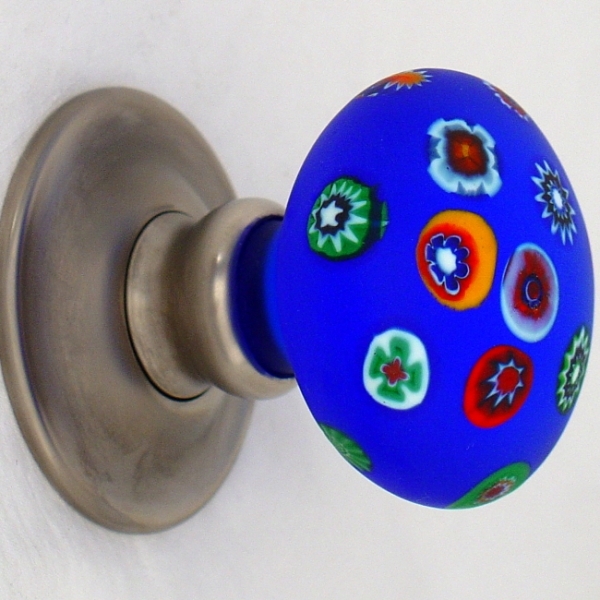 Millefiori means a thousand flowers, these highly decorative handles are very special. 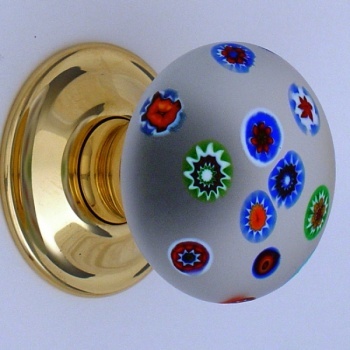 Made using glass beads from Murano in Italy producing bursts of colour accentuated by the frosted glass finish Sold as a pairs.